When we think back to the initial factors that drew us to our automobiles of choice, often included in that list is fuel economy, or otherwise known as gas mileage. Volkswagen cars are known for their exceptional designs, but also for their engineering that allows for excellent fuel economy. Without sacrificing in performance, these cars are fast and reliable, but also highly fuel efficient. For these reasons, it can be extremely disheartening when you begin to recognize signs of increased fuel consumption in your Volkswagen. There are many possible reasons why your Volkswagen’s fuel economy is decreasing. It’s important to pay close attention to your gas mileage to determine what the cause of the issue may be. For instance, if you notice that you’ve been driving a lot on the surface streets rather than the highway lately, that could account for a decrease in gas mileage. However, there are other more concerning symptoms that you can look for to find out if something else might be going on contributing to your increased fuel consumption. 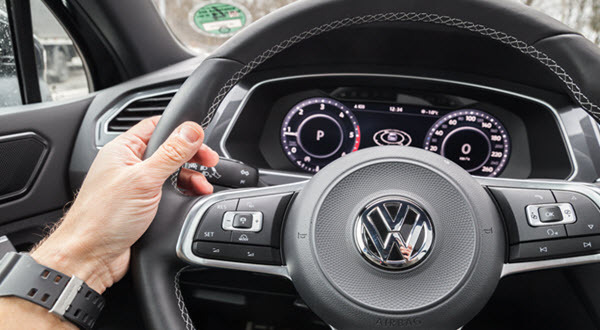 You might not automatically connect tire health and tire pressure to your Volkswagen’s fuel economy, but they’re absolutely related. Your tires are meant to be inflated to a specific pressure, and when they’re underinflated or overinflated, it can lead to some serious consequences. Overinflated tires can be unsafe and lead to blowouts, but underinflated tires are one of the main contributors to decreased fuel economy. Keeping your tires filled to the right level decreases the amount of road resistance and tire friction, which causes your engine to have to work harder, thereby burning more fuel. Since fuel injectors are the main source of dispersing fuel into your Volkswagen’s engine, if they’re not working properly it can certainly affect your gas mileage. Unfortunately over time fuel injectors can become clogged if they aren’t kept clean. When fuel injectors can’t disperse the right amount of fuel into the engine, your engine overcompensates and operates far less efficiently, often burning excessive amounts of fuel. Having your fuel injectors inspected and cleaned somewhat regularly can prevent this issue from occurring. Believe it or not, weather conditions greatly contribute to the amount of fuel your car burns. Especially cold temperatures cause your engine to have to work harder to bring itself up to the optimal internal temperature and maintain it. Alternatively, in warmer conditions we tend to blast our air conditioners—even worse, blast the air while the windows are down. It’s best to only utilize your air conditioner when absolutely necessary, and to allow your car to warm up for a few minutes before driving in the morning on especially cold days. Another factor which greatly contributes to decreased fuel consumption is your own unique driving habits and typical driving conditions. Sometimes lead feet don’t pay off—in fact, they wind up costing us in fuel economy. Quickly accelerating and lots of stop and go traffic can significantly impact the way your Volkswagen burns fuel. It’s helpful to evaluate the way you drive and how you might benefit from cutting back on goosing the gas. Every car requires a different type of motor oil. It’s critical to refer to your Volkswagen’s owner’s manual to determine what type of motor oil works best in your engine. Furthermore, keeping up with routine oil changes is an important part of ongoing maintenance and auto care because it keeps your engine running smoothly. If the condition of your oil and oil filter isn’t kept at it’s cleanest, it can cause your engine to use up more gas. For this reason, and many others, it is essential to maintain your motor oil regularly. The Volkswagen experts here at Ronin Autowerks have helped maintain and repair countless numbers of vehicles in the areas of Fullerton, Anaheim, and Yorba Linda, CA. We know how important fuel economy is to our clients, and we approach our job from a preventative lens. It is our mission to help our clients enjoy their European import vehicle to the fullest each day and do everything in our power to keep their cars running optimally at all times. If you are concerned that your Volkswagen has increased its fuel consumption lately, please contact us to schedule a diagnostic appointment—we will isolate the issue and fix it quickly and affordably. Driving Volkswagen Tiguan image credit goes to: eugenesergeev.